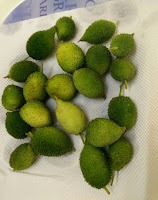 We all know bitter gourd is not everybody's favorite. I got introduced to BABY BITTER GOURD only after I moved to Hyderabad. 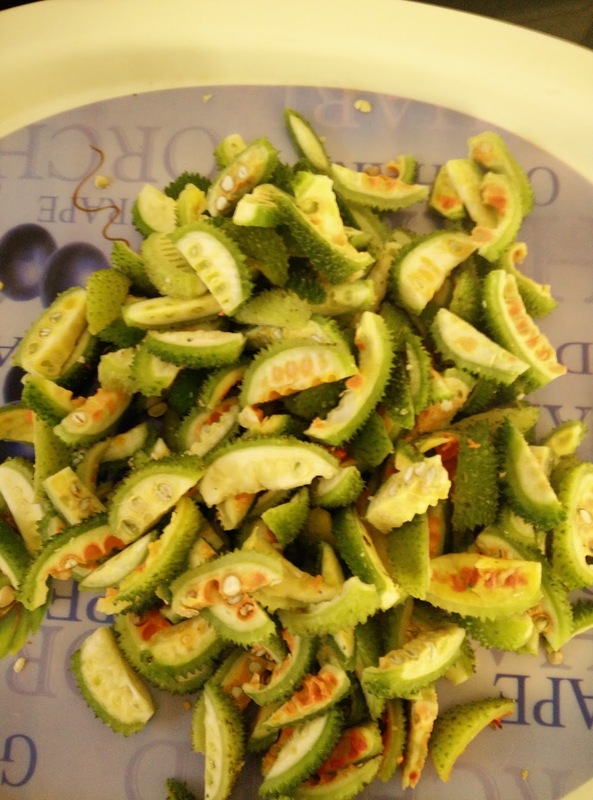 Vegetable seller says it is "Jungle Karela" ! !, but for me it looks like baby bitter gourd. 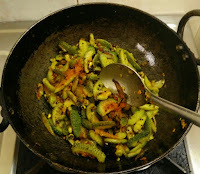 I like this vegetable because it is not bitter as normal Karela/bitter gourd. 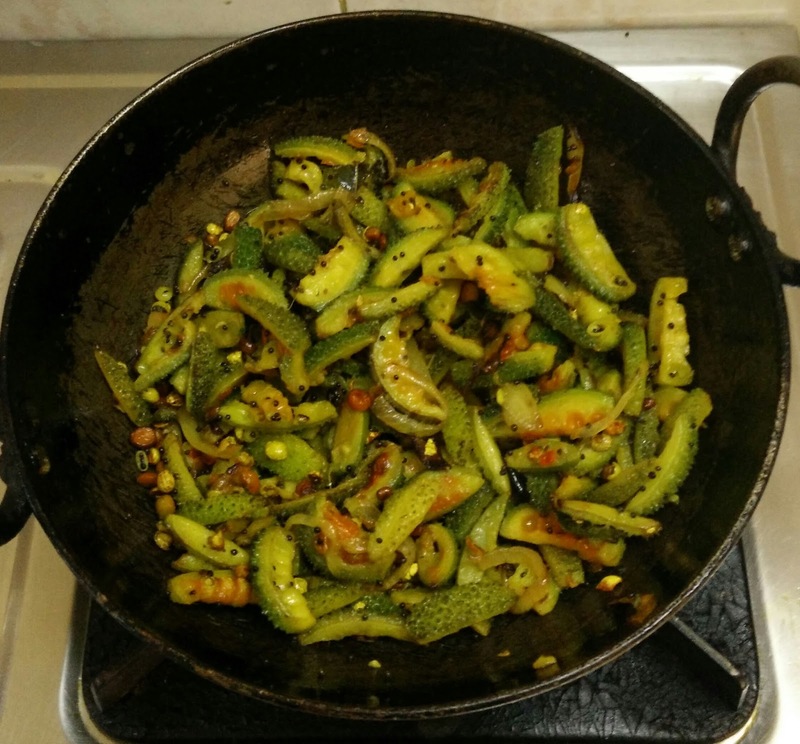 Do try this bitter gourd stir fry by following easy steps. Serve this tasty stir fry with hot rice and Rasam. 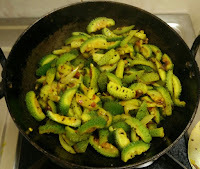 Wash the bitter gourd and pat them using kitchen tissue.Chop them vertically ( cut into thin stripes).Spread them on a tray . Keep the tray aside for about an hour so that excess moisture goes off. 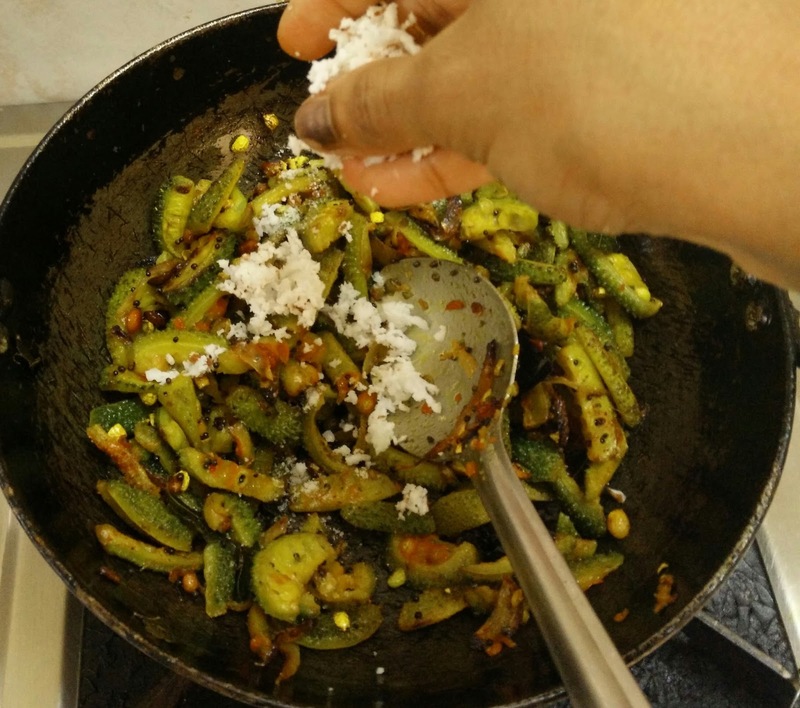 Prepare the seasoning.Heat 4 tbsp of oil in a pan/iron kadai, add mustard seeds, garlic cloves and urad dal to it. After mustard seed pops out, add curry leaves and fry for few secs.Now add in chopped onions and turmeric powder. Saute for a minute or so. 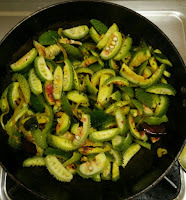 Now add in chopped baby karelas and continue sauting until karelas are 3/4 th cooked. You can close the lid and let it cook.Check in between and add oil if required. You can also sprinkle little water to avoid burning at the bottom ( do not use too much of water, restrict to 1 tbsp of water). Add red chilly powder and salt. Mix everything well and close the lid again. Let it cook for 5 mins or so . Now add in grated coconut and give a quick stir.Keep the flame in low and saute for 2 more minutes. 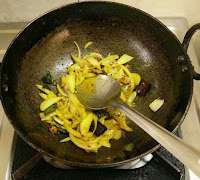 Now remove the kadai from the heat. 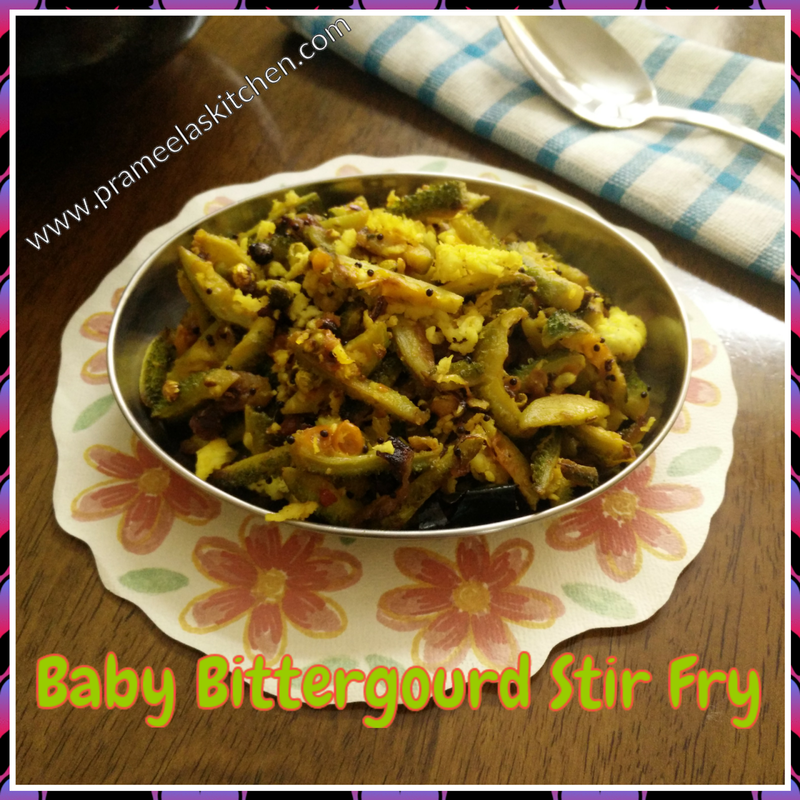 Serve with hot rice,rasam and spoonful of ghee. 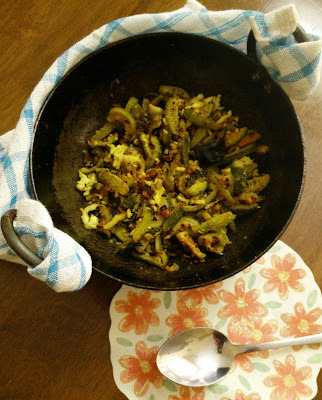 Using more oil enhances the taste of this dish. You can skip all the ingredients mentioned under "For Seasoning" except garlic. 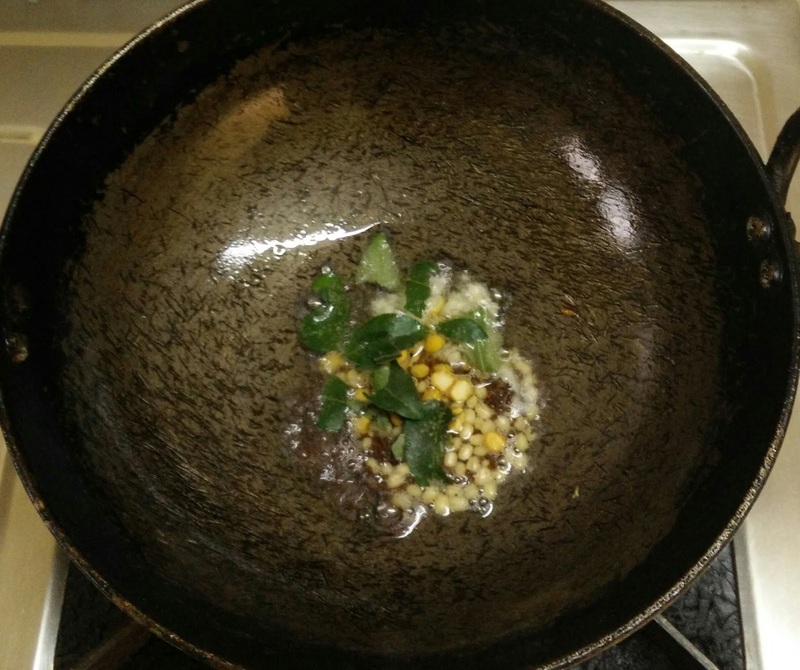 This gives a very different taste to the dish. 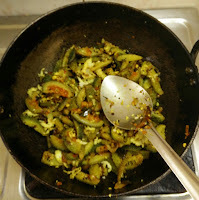 You can use tomatoes too,but if you use tomatoes bitter gourd becomes little soft at the end of preparation. 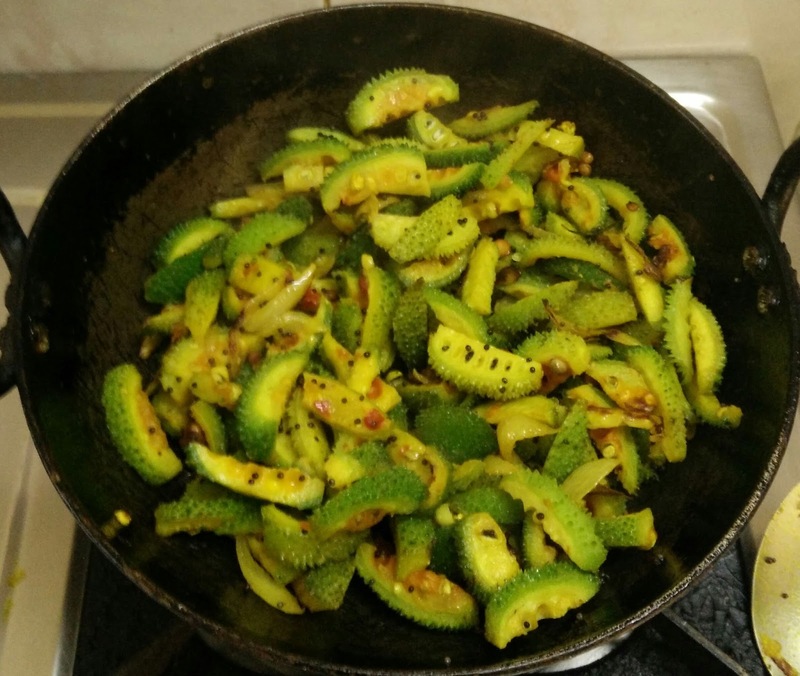 You can also deep fry the thin stripes of bitter gourd and then mix it with seasoning instead of cooking them with little oil.